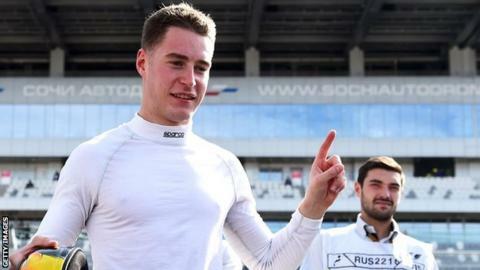 GP2 champion Stoffel Vandoorne will be McLaren's Formula 1 reserve driver in 2016 but intends to race elsewhere. The 23-year-old Belgian will provide back-up to Fernando Alonso and Jenson Button next season and replaces Denmark's Kevin Magnussen, who will be released at the end of the season. "I definitely want to race something next year, but what it will be we don't know yet," Vandoorne said. "There's definitely some options though and we're talking about them." Vandoorne, who was also McLaren's reserve driver in 2014, could compete in Japan's Super Formula series and has a test already lined up. He added: "I'm going to be test and reserve driver at McLaren anyway, which is a good position to be in."